Faulty garage door locks compromise your entire security system. For all overhead garage door remotes & lock repairs, call our nationwide garage door services. Prosco works with the best garage door service companies in the U.S. and can assist you in finding the right servicemen for the job! 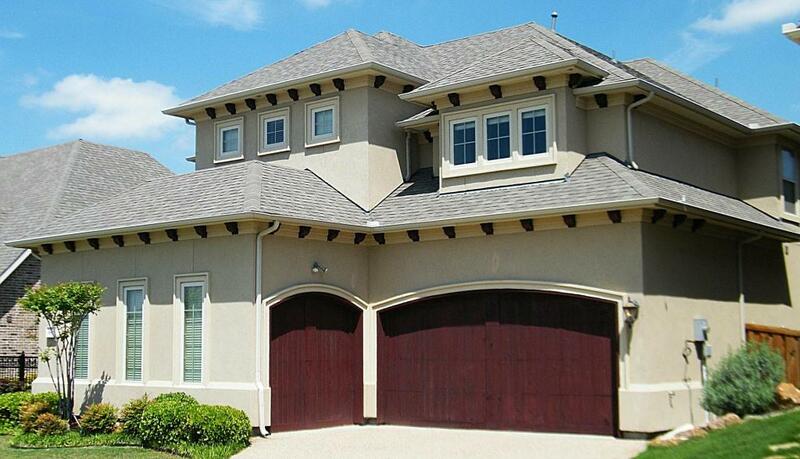 Garage doors are said to be the most often overlooked and badly maintained door of our houses. For some reason we tend not to pay as much attention to it, as we do to other doors of the house that we feel should be more presentable and hence are treated as more important. But the garage door actually plays a vital part in the functioning of our houses, as well as in the security system. It is the second front door, as our security specialists like to call it. The garage is not only the storage space and a place that houses your car. It is usually also the access way for burglars and other intruders to enter your house. Statistically, it is through the garage door that most intruders enter. Garage is often connected to the rest of the house with a passage way, a corridor or a staircase. Once entered, it gives the burglar an opportunity to go further and rob the rest of the house. Not to mention stealing your car, motorbike or other equipment stored in there. This is why to have a reliable door lock on your garage is as important as the locks on your front door. Nowadays, there are many types of garage doors and locks. You can choose from traditional swing open doors or overhead garage doors with fully automated functions of opening and closing. 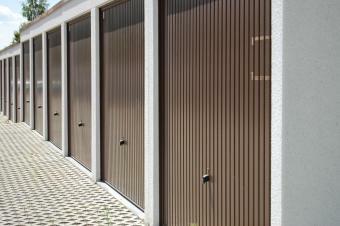 The system of opening and closing divides garage doors into: canopy, retract, roller, sectional and side-hung doors. Most of the doors offer insulation to keep the temperatures and moist at a safe level for your car and equipment. Basically, your garage door is a moving wall that protects your car, but also access to your home and family. The most popular types among the above-mentioned are the types of overhead doors, that is doors that open upwards. The older ones were made of just one panel with a hinge lifting mechanism. The latest versions are build with several panels with various types of rolling systems for opening and closing. An overhead garage door saves space and proves to be most convenient system of garage door opening. Overhead garage doors are relatively easy to install, but should always be installed and repaired by a licensed and skilled professional. Otherwise, you risk loosing your warranty, as well as potential problems with your insurer. If a break-in happens, the insurer will investigate the doors and locks, and it might be a problem if they were fixed in a do it yourself manner. If your garage door doesn’t open or close properly, if it gets stuck or malfunctions in any other way, you should have it checked by one of our professional Prosco service providers. The same goes for problems with the remote control. If it doesn’t work, or the server is experiencing a failure then it might need reprogramming. Failures like that may cause the alarm system to set off randomly, causing unnecessary distress and false alarm. Your garage door is just as important as the front door, so don’t ignore any unusual activity of the door or devices connected to it. It should be repaired as soon as possible to decrease the risk of potential intruders taking advantage of the situation. A very common problem with the garage door locks are the garage door remotes. These devices are programmed to automatically open or close the garage door. There are the very simple ones with just one button for open or close and speed adjustment. But with the development of smart technologies, there are now many more advanced options available. It is possible to interconnect the garage door with cameras and motion sensors that can control and adjust lighting, set alarms, or even play your favorite music once you close the garage door behind you. If you already use some smart options for your home, consider adding the garage locks and door to the system for better protection and convenience. Even if your door seem to work properly and you don’t experience any problems, it is recommended to have a standard maintenance check-up once a year. During this process, a technician will examine the garage door, garage door locks and the opening system, performing standard maintenance including lubricating rollers, cables and hinges, adjusting tracks, checking the remote and inspecting the safety level in connection to the house’s security system. An expert garage door service man will be able to tell if you need to replace your old locks or if they can be repaired. Fixing the old locks is a simpler and cheaper solution, however, if the locks are old and beyond repair, it may be time to replace them with a more modern and updated lock. There are various types of locks to choose from, each one with its benefits. Let an experienced garage door company assist you with making this decision. Prosco will connect you with the top garage door company in your area. To learn more about the services available for garage doors and locks, contact Prosco and one of our customer care representatives can assist you.Our team can help you choose the right company to fix or replace your garage door locks. We guarantee best prices for the level of comfort and safety you choose, as well as completing the service quickly with the time flexibility adjusted to your schedule. The companies we work with offer repairs, parts replacements, remote openers repairs and reprogramming, as well as garage door replacement, garage locks replacements and rekeying and all kinds of tune-ups that your garage door might need. Our phone lines are open 24/7, so call us anytime you need your garage door fixed and we’ll send our nearest garage door specialist right away.